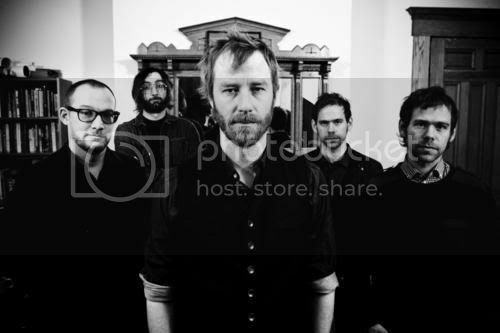 We're going to double up on The National, doing two videos from them in a row because I love them and because I never got around to actually reviewing High Violet so I'm going to make up for it by talking about them and that album over and over again. Those of you who know me know I obsess about set lists at the shows I attend, hoping to hear songs I've never heard by the handful of bands I deem worthy of seeing more than once. When my trusty sidekick 11 and I decided to see The National three times last year, including twice in a three-day span, we hoped we'd pick up some different songs between the shows. We each had our favorites and while "90 Mile Water Wall" would not have been #1 on either of our lists, it was definitely on both our lists and it was rated pretty high. We didn't expect it but we wouldn't have bet against it (it will be a cold day in Hell before we ever hear them play "The Thrilling of Claire"). The quality of the recording here is decent. Relive one more memory of two of my favorite things: The National and Ryman Auditorium.